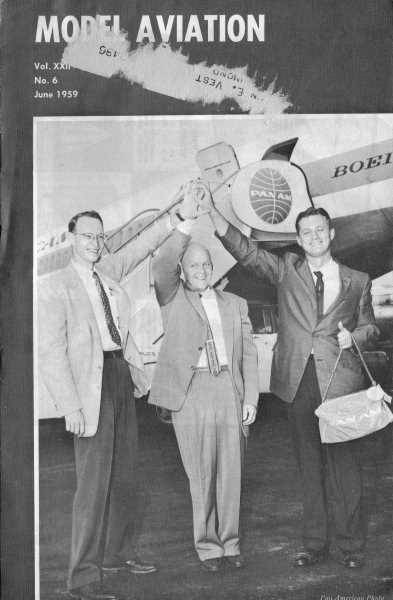 Website visitor Steve W. requested this short feature on the Parnell Pixie that appeared in the June 1959 edition of American Modeler. 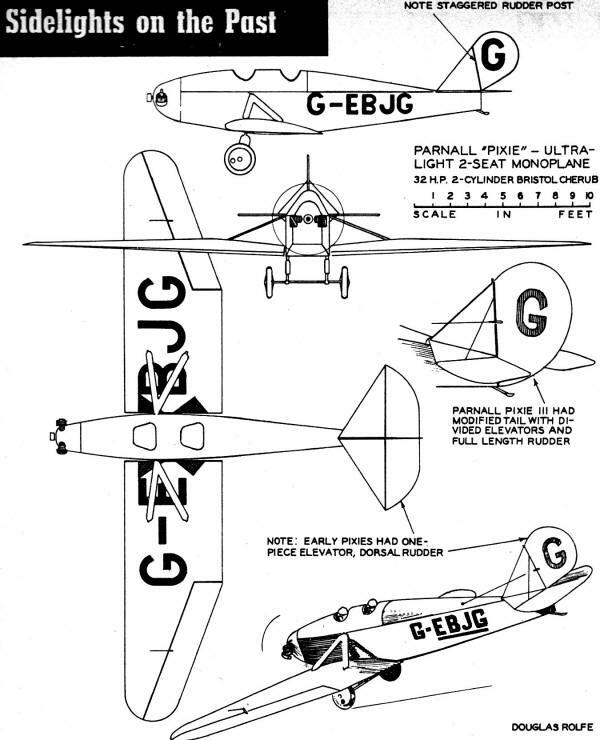 The Parnell Pixie was born in 1923 in response to a contest sponsored by the Daily Mail and the Duke of Sutherland designed to stimulate light aircraft development. Unfortunately, the article only has a short historical perspective and a 3-view line drawing. A Google search will turn up a few sources for plans for the Parnell Pixie. Introduced in 1923 and entered in light plane trials held at Lympne, England, in 1923, 1924 and 1925, the Pixie was a two-seat semi-cantilever monoplane powered with the ubiquitous Bristol Cherub engine which developed 32 hp at maximum revs. Besides the two-seat version there was a clipped wing Pixie powered with a geared-down motorcycle engine which hit speeds of more than 100 mph. Pixie III of 1925 had same general configuration, but modified tail as shown in sketch. The "III" was also convertible into a biplane, removable top wing being of slightly smaller span and supported by a central tubular cabane strut arrangement. - Douglas Rolfe.